The sizing on these may vary as a result of the production process, optimally they are about 14mm with a 1mm hole through the center. 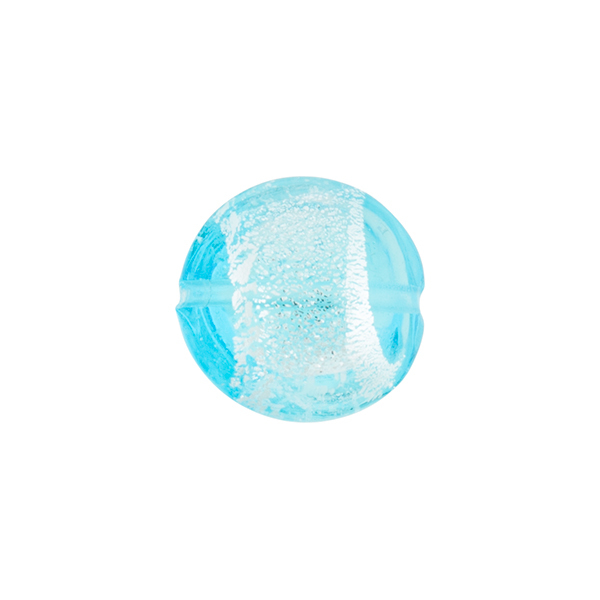 The dichroic adds such sparkle and depth to the bead which is very difficult for photography. The exact placement and coverage of the dichroic also varies. The color is transparent aqua encased with the sparkling silver dichroic, a great way to add some sparkle to your Venetian Jewelry.